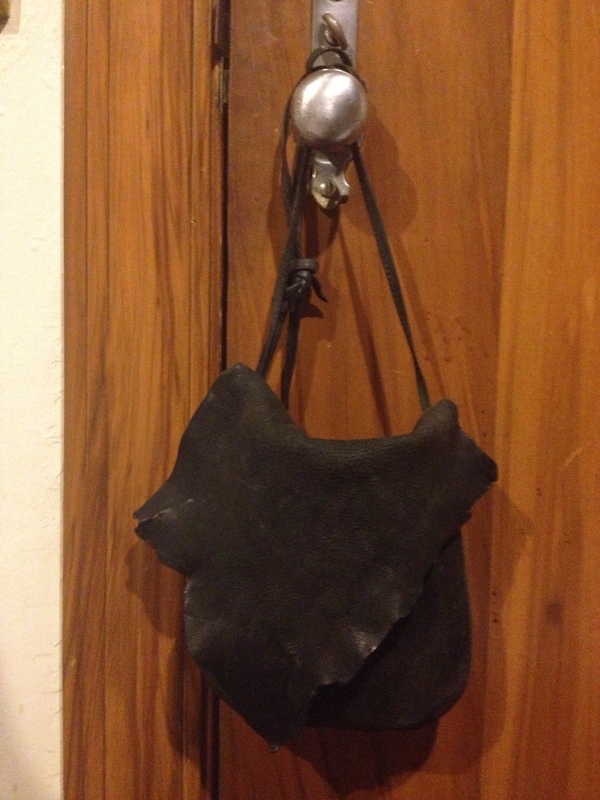 today i must end my 50 days with this deerskin crossbody that i bought at the ann arbor art fair in 1991. i don’t let myself think about ann arbor too much. it was such a wonderful time in my life before i got married and had my sweeties. i don’t dwell – it’s dangerous. using this bag means paring down to the bare essentials. that’s what my life was like then – i had just finished grad school and started my first real job. all i needed on a regular basis fit in this purse. i used it daily for a long time, especially at work. it was like a cool fanny pack – yes, that’s what was going on back then. 12 years and three girls later, i got fashion-minded again, and realized that a large body can make a small purse look like a tic tac. i went back to carrying large purses again. factor kids into the mix and i’m hauling an arsenal to ward off any malady or mishap. seriously – who has kids and isn’t leaving the house without child and adult pain relief? neosporin? cortisone? children’s pepto? can i get a band-aid? i’m always out of those. i really did have everything i needed today while out shopping with my good friend and “like a mom” Joy. i took her to my favorite thrift stores, and we discovered a new one together – the American Cancer Society Discovery Shop, where the workers are volunteers and all of the profits go to the Society. with my mom dying of cancer, i’m happy to add it to my repertoire. the prices were great. if you have one near you, check it out. so with this being my day 50, what did i learn? i can do something i set out to do for no other reason than i want to do it. and because i have a hard time saying goodbye, i’ll leave an opening to reflect and write about this experience. i got the courage to start a more long-term blog. this one is called thriftinnati – devoted to my thrifting exploits and overall bargain shopping. i won’t be posting daily! weekly, likely. www.thriftinnati.com starting soon. thanks to any and all on this road! and no, i’m not selling any of these bags! maybe some others in my closet, though… stay tuned. This entry was posted in various places and tagged American Cancer Society, ann arbor, Ann Arbor Art Fair, art fair, black, cross body, Fanny pack, Graduate school, Handbags and Purses, Leather, michigan, thrift stores, thrifting on May 20, 2013 by miriamgmck.